Finally, here it is. Recorded 2. 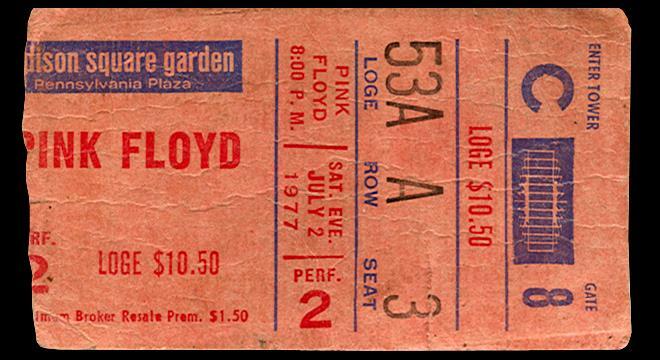 July 1977 from the most often requested series of gigs during 1977 at Madison Square Garden, NYC. Most recordings between the 1st and the 4th of July don’t live up to my high standard but there is this one master recording and its explosively excellent. I tweaked it up just a little but for the most part, it didn’t need much. We starting lighting things off with a Richard Wright track. Please donate if you can. Thank you. Here’s the playlist! 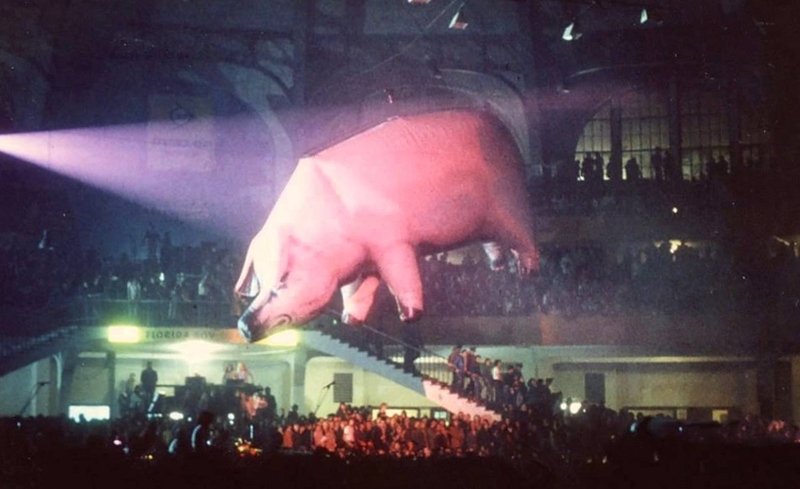 We are long overdue for a gig from The Animals Tour (as it was called in Europe). This excellent recording is from the last of four consecutive nights from a rather fitting location that used to be a slaughterhouse. Pavillon De Paris, 25th Febuary, 1977. Another Harvested gem! Here’s the playlist and here’s a ticket scan. Here’s a long overdue Animals gig. This particular recording comes a month after the album’s release. The audience is generally very quiet and respectful, which is a refreshing change from the standard audience recording from this tour. Not a single firework to be heard! 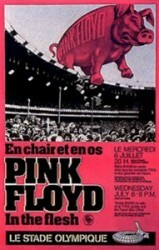 Live from Pavillion de Paris, Porte de Pantin, Paris, France, 22. February, 1977. For this installment, we go to Municipal Stadium, Cleveland, OH, 25. June 1977. American shows in the summer of 1977 were particularly rowdy, but this recording is probably most notable for the numerous cries of “SIT DOWN!” throughout the show. Fortunately, the music on this release comes out on top for the majority of the show. 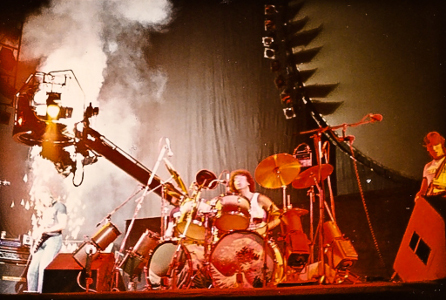 The occasional fireworks set off yet Roger manages to keep his cool during this performance but by this time in tour he was already becoming agitated by the carefree behavior of these massive audiences. 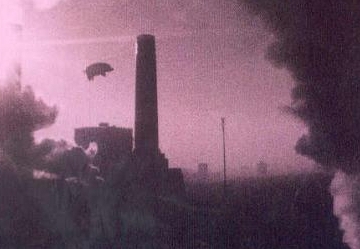 Roger can be heard shouting “46″ during Pigs (3 Different Ones) after the second verse, which is one of the identifiers for the concerts on this tour, however he must have lost count because this was actually the 47th show. The podcast kicks off with Jeff Beck live, last week at the Royal Albert Hall with David Gilmour as surprise guest, performing Jerusalem. Just when you thought it couldn’t get any better… This is an upgrade to the previous 9. May, 1977 podcast “Look Mommy, there’s an aeropig up in the sky” (Show #70 Release date: 13. October, 2006). 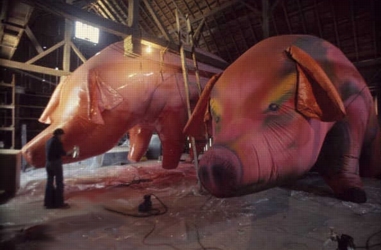 As it turns out, it was recorded by Reinhart Holhwein, not Bill Graham Productions as previously thought. Reinhart’s recording landed in the lap of a master of mastering, Derek McCabe of ‘Mouth of the beast‘, a group of people who master live recordings, mostly Grateful Dead stuff. The clarity is much better. Welcome back! Thanks for hanging in there during the break. Featured in this podcast is an early gig from the Animals Tour, 1st of February, 1977 at the Stadthalle in Vienna, Austria. I see many of you are anxious to get on with it so without any more mucking about, we kick things off with a request from Neil of Wales, Main Theme performed at the Fairfield Hall, Croydon, Surrey, UK, 18. January, 1970. 27. June 1977, Bostin Gahdin, Bostin, Mazzachoozetts. 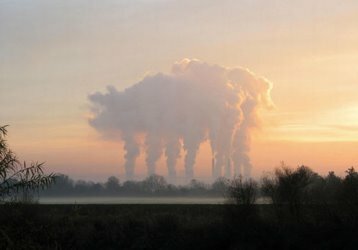 This is a wicked pissa recoahdin. 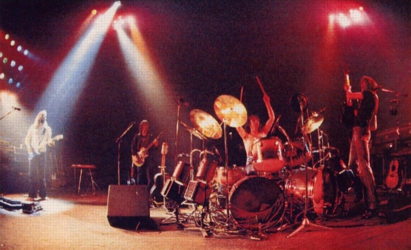 This was Pink Floyd’s second and last visit to the Gahdin and their last gig in the Bostin area with Rogah still in the band. The Animals In The Flesh touah was windin down and the band were wicked ti’ed but they played hahd. Rogah’s last words “a perfect ending to a perfect day” summed it up well. Don’t you just love trying to read something in a Boston accent? In the Flesh concert #61, at Montreal’s Olympic Stadium, 6. July 1977, Montreal, Canada. The infamous spitting incident… stadium crowds push Roger to build The Wall. 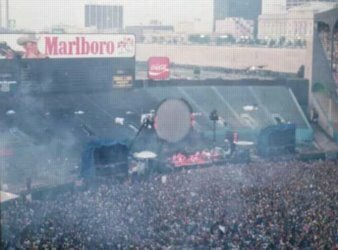 This was the last show of the tour and the last time Animals would be performed live by the Floyd. It was also the last time Roger would perform Wish You Were Here and Money with Pink Floyd until 28 years later for the famous Live8 reunion. A few years back there was an excellent article with photos of this concert by Wray Ellis here.